In Akron, Ohio, we understand the importance of trenchless services on the environment. By reducing the amount of digging needed to perform sewer and drain lining work, we promote long-lasting and reliable results while ensuring that the process doesn’t take more than a day or two to complete. Our team at C. Lee Services is proud to offer trenchless sewer pipe lining services to our customers in Akron, and we extend our services to home and business owners. What Is Trenchless Pipe Repair Technology, & How Does It Work? Because trenchless technology allows us to restore sewer pipes from the inside, we don’t need to excavate for long periods of time, and this lack of digging ultimately saves our customers money. 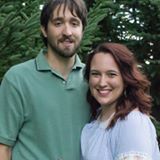 This is because the need to budget for the large machinery to be used on the property or the landscaping restoration costs after the job is finished are factors that we eliminate from the equation. Traditionally, heavy excavation on properties could release harmful gases into the air, and the digging was destructive and required major cleanup and restoration afterwards. By limiting the amount of digging, we keep repairs minimally invasive, and this commitment to keeping our work as convenient as possible also benefits the environment as well. To eliminate these problems, our team will recommend trenchless sewer pipe lining. To ensure that the lining steps go smoothly, we will clean the pipes with our powerful hydro jetting equipment, which will force out debris and waste through strong blasts of water directed into the pipe with a specialized hose and nozzle. In pipe lining process, a tube coated with epoxy resin is sent into the pipe and positioned to cover the areas of corrosion or cracks. Once it is in place, the liner is inflated with artificial bladders from the inside, and this forces the tube to adopt the shape of the original pipeline diameter after pressing the material against it. The expansion forces the epoxy resin to fill cracks and leaks while evenly covering corrosion, and once our technicians confirm that the liner has properly inflated to the inside of the pipe, we allow the epoxy resin to harden. This process may require several hours to complete, but it results in the liner seamlessly replacing the original pipe. 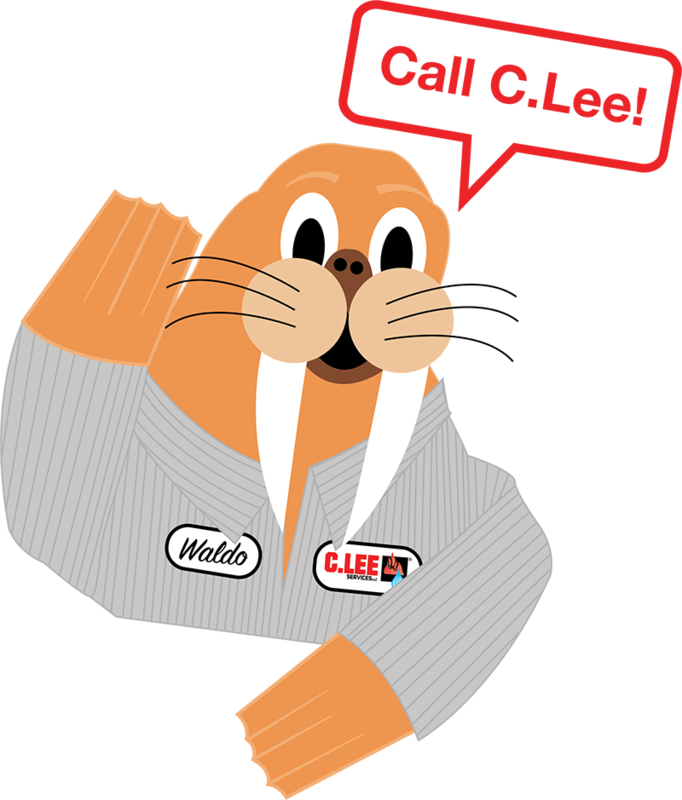 Call C. Lee Services For Eco-Friendly & Affordable Trenchless Sewer Lining Services Today! 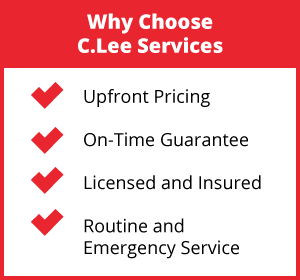 At C. Lee Services, we are proud to offer our customers innovative solutions to common sewer line problems. If your pipes have burst or there’s a leak on your property, call us to get the drain lines and pipes in your apartment, condominium, office building, or restaurant fixed with trenchless sewer pipe lining today!